How secure is your WordPress website? Is your site an easy target for hackers? With a few steps and by adopting a few WordPress security best practices, you can significantly reduce your vulnerability to attack. In this post, we’ll cover a few tips for securing a WordPress website. 1. 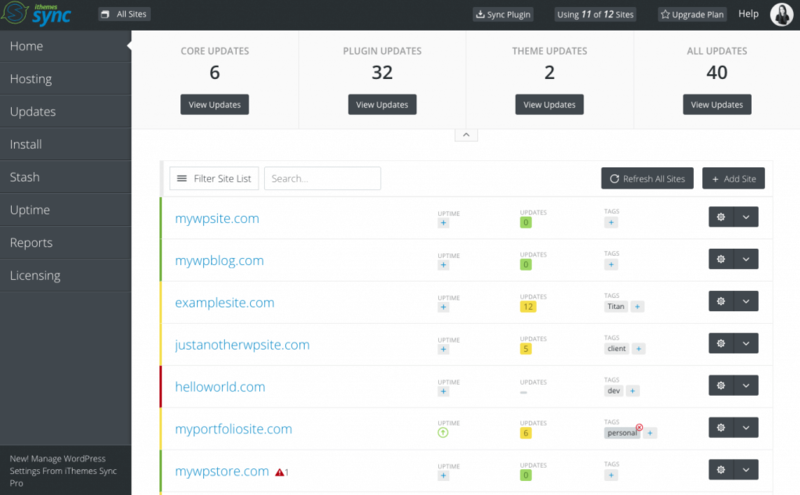 Keep WordPress core, plugins and themes updated to the latest version. 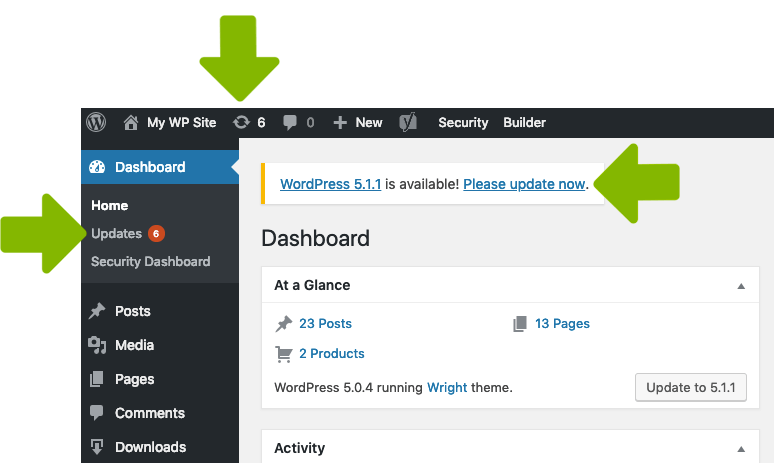 Right now, if you log in to your WordPress website to check, how many update notifications do you see in your WordPress admin dashboard? You’ll find this number in several places, including the top admin bar, in the sidebar menu and also as a notice (if you’re running an outdated version of WordPress). 2. Review the changelog for the version update before updating. Developers use changelogs so users can know the changes included in a version update. You can find changelogs on the Updates page in your WordPress dashboard by clicking the link “View version x.x.x” details link. With iThemes Sync, you won’t have to log in to multiple websites to run updates. You can run updates across multiple websites with just a few clicks and see all available updates in one place. Sync also sends helpful daily email notifications for available updates. 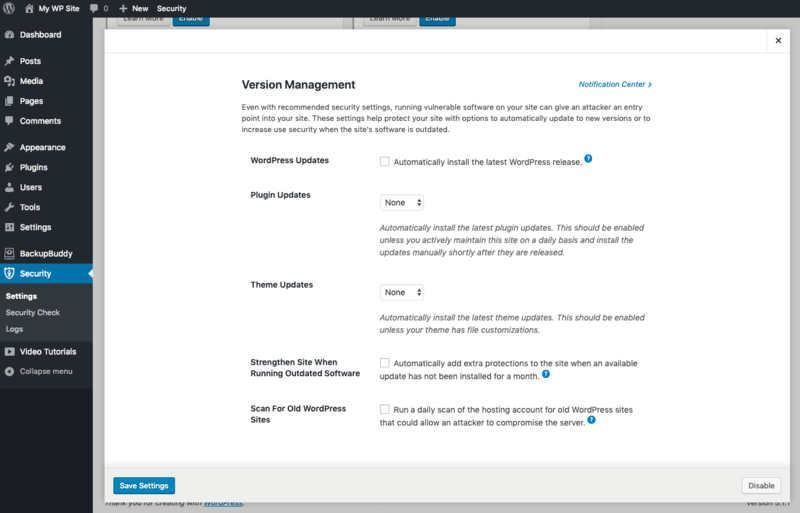 The iThemes Security plugin also offers WordPress version management to protect your website when outdated software is not updated quickly enough. 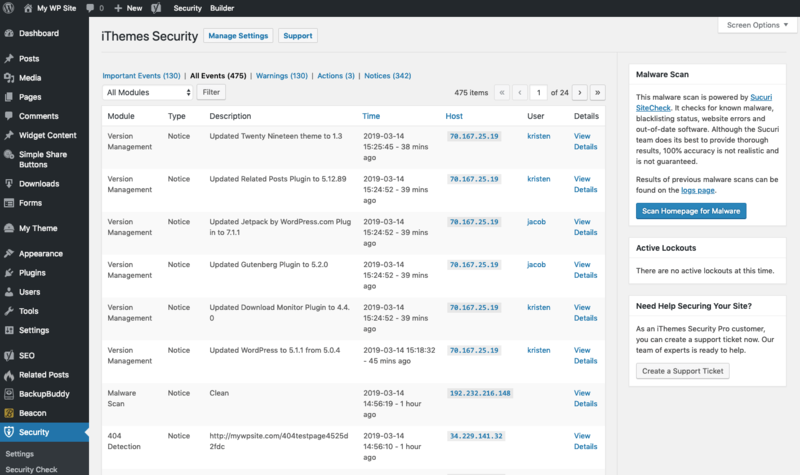 iThemes Security WordPress Version Management feature can automatically update to new versions of WordPress, themes and plugins, along with additional security measures when a website’s software is outdated. 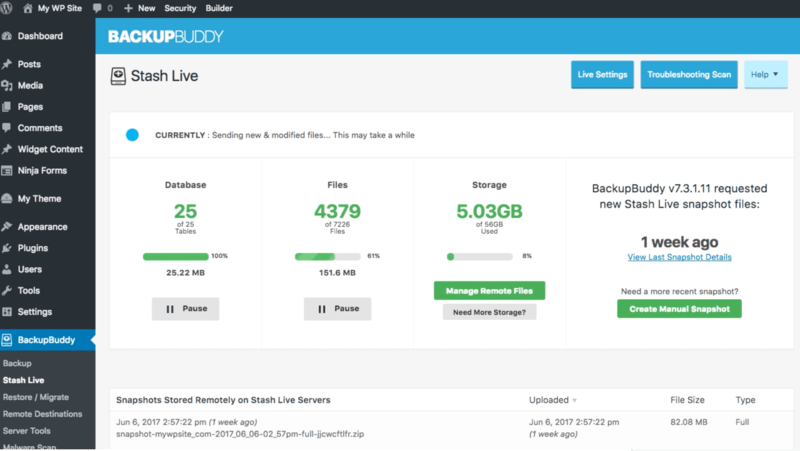 Additionally, it can scan for other out-of-date WordPress sites that may be installed on your hosting account. Users can get a notification email containing details about WordPress updates that were installed automatically. 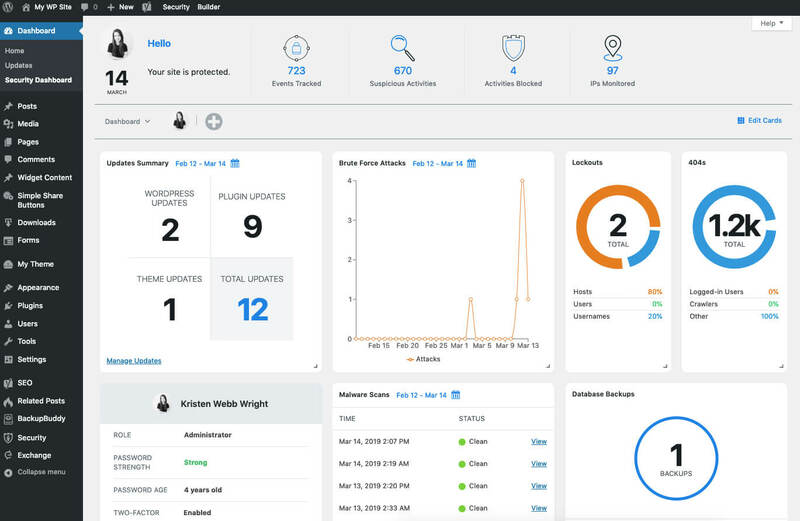 iThemes Security will also alert you if it detects any server or site configuration issues that could prevent automatic WordPress updates from working. This tip bundles a few password-related best practices. 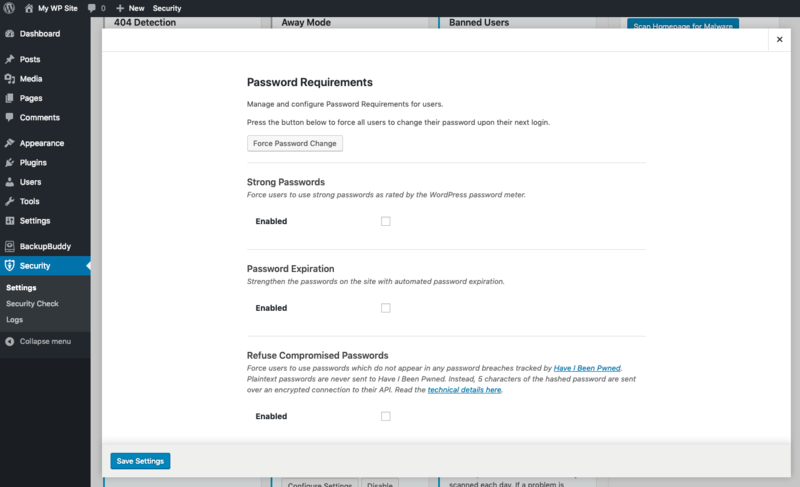 A successful WordPress security strategy should include steps to strengthen your WordPress login—this ultimately relates to the passwords used to login to your website. Sounds impossible, right? This is why you should use a password manager to generate random, strong passwords and securely store them for all your account logins. Another important best practice for online security is using unique passwords for every account and website login you have. Why does reusing a password matter so much? If you use the same password for all your accounts and even one of those websites is compromised, you are now using a compromised password for all your accounts. Hackers can use data dumps of compromised passwords paired with your email address or username to gain access to all your accounts. That’s why it’s best to not even take the risk. The more users on your website that are reusing passwords, the weaker your WordPress login security actually is. In a recent list compiled by Splash Data, the most common password included in all data dumps was 123456. The WordPress login security of your website is only as strong as the weakest link, so be proactive with strong password requirements. 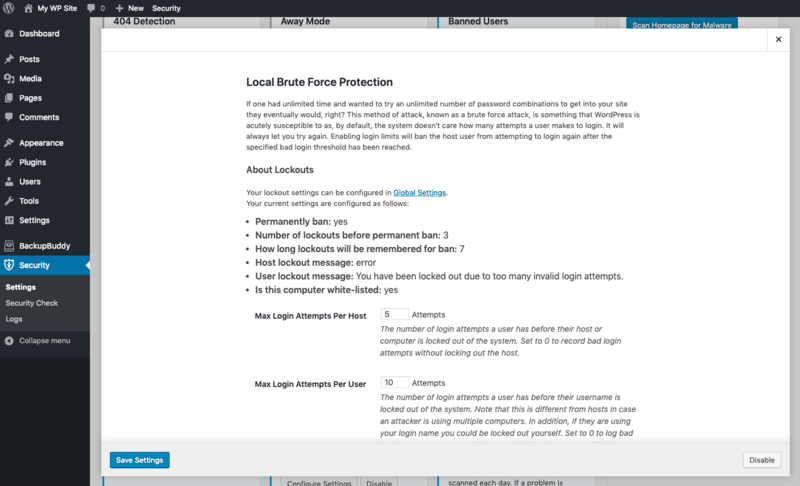 The iThemes Security Pro WordPress Brute Force Protection feature gives you the power to set the number of allowed failed login attempts before a username or IP is locked out. A lockout temporarily disables the attacker’s ability to make login attempts. Once the attackers have been locked out three times, they are banned from even viewing the website. 4. Add two-factor authentication to your WordPress admin login. 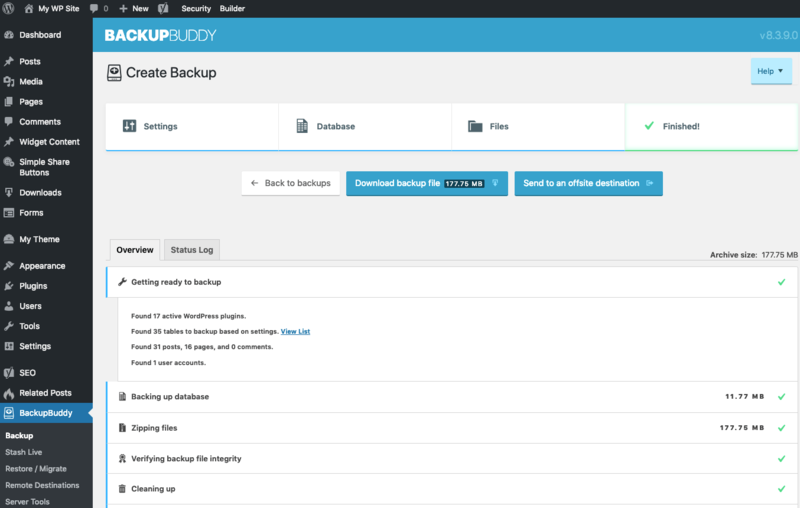 Another way to ensure WordPress security is to backup your website. Backups ensure that if your website is ever compromised, you’ll be able to get it back. 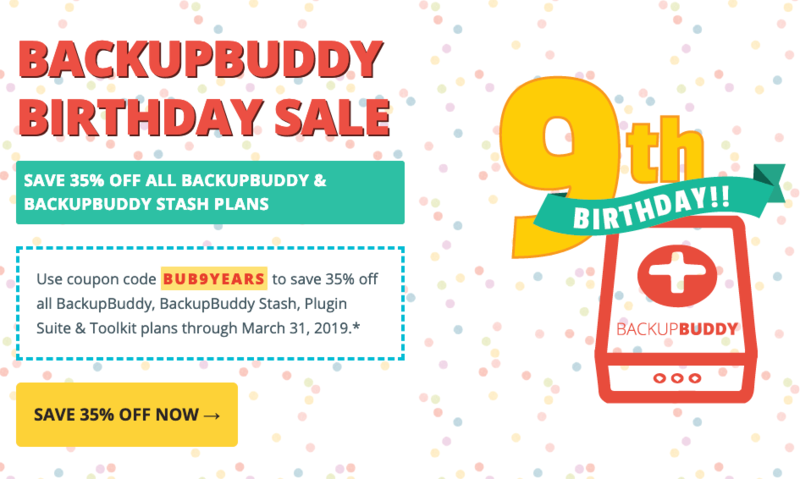 Also, since WordPress doesn’t include a built-in backup system, you’ll need to implement a backup strategy on your own (most host backups aren’t sufficient). Not all web hosts are created equal and choosing one solely on price can end up costing you way more in the long run with security issues. Most shared hosting environments are secure, but some do not adequately separate users accounts. Hopefully, this post has given you a few tips for securing your WordPress website. By learning a few WordPress security best practices and implementing a few of the tips above, you’ll have a more secure website.